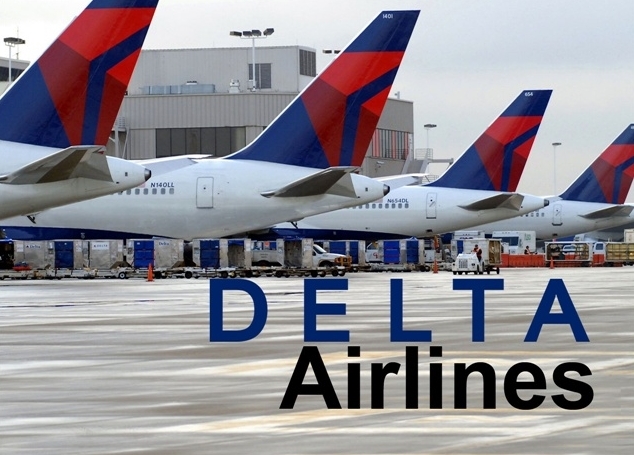 DALLAS (AP) – Delta Air Lines plans to reduce international flying later this year as travel demand in some places weakens due to lower oil prices and the strong U.S. dollar. The airline said Wednesday that it will make cuts of up to 20 percent on routes to Japan, India, Brazil, Africa and the Middle East. It will suspend winter flights to Moscow. Delta announced the moves as it reported first-quarter profit that more than tripled from a year ago, helped by lower jet fuel prices. The results were slightly better than analysts expected, and the shares rose in afternoon trading. CEO Richard Anderson said it was Delta’s best January-through-March quarter ever both financially and operationally. However, the strong U.S. dollar and low oil prices are hurting ticket sales in some foreign markets, and Delta announced that it will reduce its international passenger-carrying capacity by 3 percent later this year. It’s an even bigger cut, 6 percent, from Delta’s original, ambitious plan. Anderson told analysts on a conference call that the moves would get the airline’s so-called unit revenue back on track. Revenue for every seat flown one mile, a closely watched figure in the airline business, fell 2 percent in the first quarter and is expected to decline between 2 percent and 4 percent in the April-through-June quarter. Airline officials said that other than suspending seasonal service to Moscow, they would not eliminate routes altogether. Instead, they will use smaller planes or fly less often on existing international routes. U.S. passenger-carrying capacity will grow 2 percent. Analysts have worried that falling oil prices have tempted airlines to add too many new flights, which tends to depress fares. They feared that airlines would abandon their recent strategy of no or slow growth in capacity, which has helped boost fares and produce record profits. Delta’s announcement cheered them. That would squeeze bargain-hunting passengers, though. Years ago, vacationers could often count on fare sales when airlines grew too quickly and then desperately tried to fill seats by cutting prices. But now airlines are keeping their planes nearly full. The average flight on Delta and Delta Connection in the first quarter was 81.7 percent full. Demand for travel is strong enough that the airlines don’t need to discount deeply, as consumers saw even while jet fuel prices were tumbling last year. “The years of huge fare sales, the boom-and-bust cycle that customers benefited from, are long gone,” Corridore said. Atlanta-based Delta Air Lines Inc., the nation’s third-biggest airline company behind American and United, reported first-quarter net income of $746 million, or 90 cents per share, up from $213 million, or 25 cents per share, in the same period last year. Including regional Delta Connection flights, the company spent about $600 million less on fuel than a year ago, a savings of 22 percent. However, Delta paid for its strategy of hedging against fuel price spikes. Hedging contracts work like insurance against rising oil prices, but they lose value when energy prices fall. Delta took a write-down of $372 million on its hedging contracts on top of the $1.2 billion that it took in the previous quarter. Excluding those write-downs and other one-time items, Delta said it would have earned 45 cents per share. That was a penny better than the average estimate of 10 analysts surveyed by Zacks Investment Research. Revenue rose 5 percent to $9.39 billion, matching the Zacks forecast. Traffic, measured in miles flown by passengers, gained 4 percent. In afternoon trading, Delta shares were up 88 cents, or 2.1 percent, to $43.97. They began the day down 12 percent in 2015, compared with a 2 percent gain in the Standard & Poor’s 500 index.